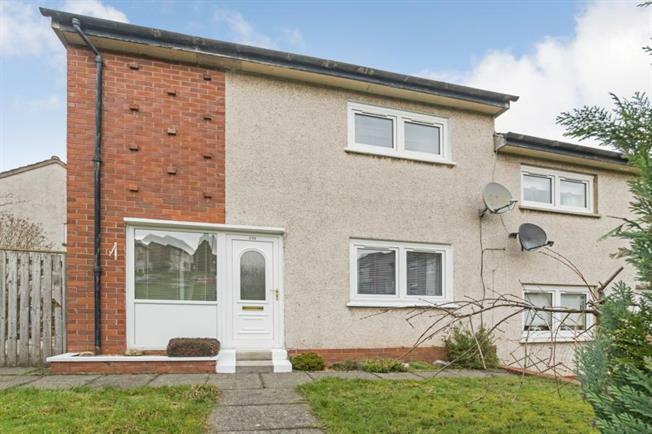 2 Bedroom Semi Detached House For Sale in Hamilton for Offers Over £85,000. Splendid two bedroom semi detached villa offering true walk in style conditions. This impressive property offers a selection of sizeable apartments formed over two levels as follows: reception hall, fabulous dual aspect lounge / dining room and stylish fitted kitchen with access to the garden. The upper level includes landing area, two double bedrooms with excellent fitted storage and bathroom. The property does benefit from double glazing, gas central and fresh and tasteful decoration throughout including quality carpets and floor coverings. There are especially sizeable garden grounds front, rear and side offering potential to extend subject to any necessary planning regulations. This popular address ensures easy access to a wide variety of local Hamilton facilities including quality schooling, town centre shopping and both bus and train stations.